In his heyday as foreign correspondent of the London Times in America following the Civil War, and subsequently as Editor of the New York Times, Louis Jennings (1836-1893) was a leading figure in the field of Victorian journalism on both sides of the Atlantic. He began life in 1837 as one of several children of a tailor in London's down-at-heel Walworth suburb, described by Dickens in Great Expectations as "a collection of black lanes, ditches and little gardens [presenting] the aspect of a rather dull retirement" (156). The expanding profession of journalism provided him with opportunities which he was quick to take, learning his trade on provincial newspapers before joining the staff of the prestigious Saturday Review. In 1863, aged 26, he secured appointment as the London Times' correspondent in India during the year's absence on leave of the paper's regular correspondent. The Editor of the Times liked his lively reports, and on his return from India sent him in 1865 to the United States. The Times had supported the South during the conflict and needed to mend its fences with the victorious North, a task in which Jennings succeeded brilliantly. His contacts with the administration of President Andrew Johnson (with whom he conducted a notable interview) laid the ground for an offer to work for the New York Times. After a spell in London as a Times leader writer, he returned to New York, and within a very few months had been appointed as Editor-in-Chief of the New York Times, a position which he held from 1870-76, playing a major role in the suppression of the so-called Tweed Ring which was defrauding the City of New York of vast sums. This won him a considerable public reputation. In 1867 he had married Madeleine Henriques, a leading lady of the New York stage. In due course they would have eight children. 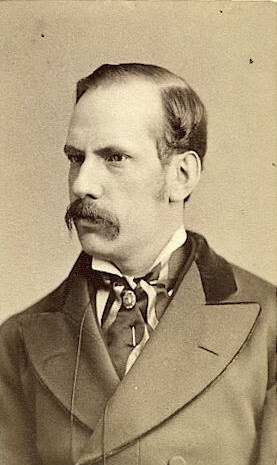 Jennings might well have remained in the States as a major figure in American journalism, but in 1876 he was involved in a failed attempt by Republican politicians to gain control of the shares of the New York Times, and returned to England. When he left New York, many prominent figures, including future President Chester Arthur, signed a testimonial to his "courage and sustained energy" in leading the fight to bring down Boss Tweed. 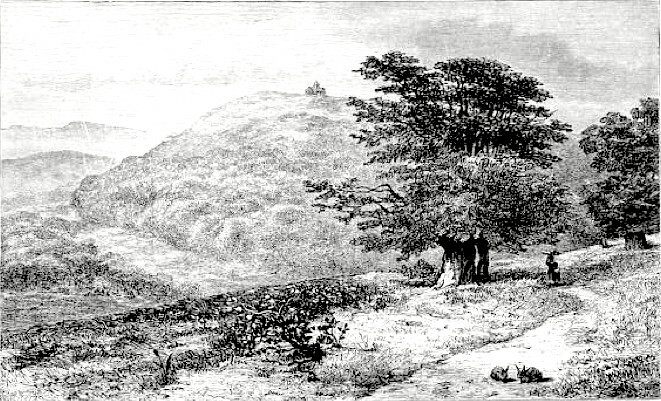 "Among the Chalk Downs," by J. W. Whymper (frontispiece to Field Paths and Green Lanes in Surrey and Sussex, from the Internet Archive). Adjusting to life back in England was greatly helped by his acquaintance with the publisher John Murray, who engaged him as a reviewer and subsequently engaged him to write articles for the Quarterly Review, flagship periodical of the Victorian era. Meanwhile he wrote two lively books of country walks — Field Paths and Green Lanes in Surrey and Sussex (1878) and Rambles among the Hills in the Peak of Derbyshire and the South Downs (1879). Between 1881 and 1885 Jennings contributed seventeen of the lengthy tailpiece political articles in the Quarterly Review, all of them fiercely critical of the Gladstone administration. This established him as a Tory champion and enabled him to win a Parliamentary seat for the Northern industrial town of Stockport in the 1885 election. In the same period he was engaged by the publisher John Murray to edit the papers of a prominent figure of the first half of the nineteenth century, John Wilson Croker. 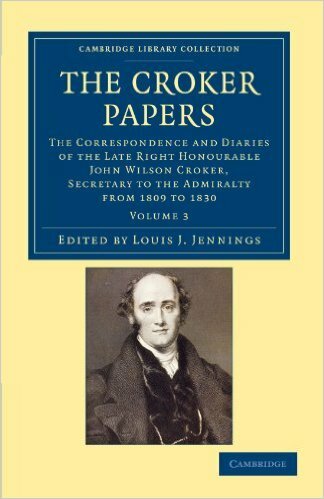 His edition of the Croker Papers was a great success, selling over 2500 copies, and remains a standard work on Croker's life. A 2012 reissue of Croker's Papers by Cambridge University Press. As MP for Stockport he attached himself closely to the mercurial figure of Lord Randolph Churchill in the latter's campaign for "Tory Democracy" — a bid for the hearts and minds of newly enfranchised working class voters. His alliance with Lord Randolph came to a dramatic end when he severed this alliance in a speech in the House of Commons over the handling of a report on Irish nationalist politician Charles Parnell. At the time of his break with Churchill he had less than three years to live. He died in 1893 aged 57 following an operation on his liver. An obituary in the Illustrated London News said that "at times he almost became a power in the House [of Commons], and he was great in the Lobby where his shrewd and detached criticism of party life and dislike of extreme views made him a favourite." With his early death, Jennings failed to make the impact on British political life which had hoped to make, and his major journalistic achievement — as Editor of the New York Times — was dissipated when he returned to England. But in his day he made a significant mark both as journalist and politician on both sides of the Atlantic, which well deserves to be remembered. Interestingly, politics would stay in the family: in 1898 his daughter Ruth married the eldest son of Charles Ritchie MP, successively Home Secretary and Chancellor of the Exchequer between 1900-1903, who was later elevated to the House of Lords as Baron Ritchie of Dundee. Davis, Elmer. History of the New York Times 1851-1921. New York: New York Times, 1921 (Jennings' six years with the paper are described here). Dickens, Charles. Great Expectations (with The Uncommercial Traveller. London: Chapman & Hall, 1884. Internet Archive. Contributed by University of California Libraries. Web. 20 January 2016. Foster, R. F. Lord Randolph Churchill: a Political Life. Oxford: Clarendon, 1981 (this has an account of Churchill's relations with Jennings). Jennings, Louis. Rambles among the Hills in the Peak of Derbyshire and the South Downs. London: John Murray, 1880. Internet Archive. Contributed by the University of California Library. Web. 8 February 2016. The John Murray Archive at the National Library of Scotland. Lord Randolph Churchill's archive at the Cambridge University Library has a hundred letters from Jennings to Churchill. Matthew, H. C. G. "Jennings, Louis John (1836–1893), journalist and politician." Oxford Dictionary of National Biography. Online ed. Morphet, David. Louis Jennings MP, Editor of the New York Times and Tory Democrat. London: Notion, 2001 (available from Notion Books, 11 Daisy Lane, London SW6 3DD, hardback, £10 + p&p). _____. "Political Comment in the Quarterly Review after Croker: Gladstone, Salisbury and Jennings." Victorian Periodical Review. 36/2 (Summer 2003): 109-134. Obituary notice. The Athenaeum. 18 February 1893: 221. Obituary notice. The Illustrated London News. 18 February 1893: 202. Times Digital Archive (some 60-70 letters relating to Jennings can be found here). The Wellesley Index to Victorian Periodicals (gives details of Jennings' several articles).